Evening classes are filling up, so we’re happy to update everyone that we’ll be opening up the Tuesday & Thursday 7:00pm time slots to regular classes for January and possibly February as well! That means 7pm classes are there for you Mon-Fri. Enjoy! 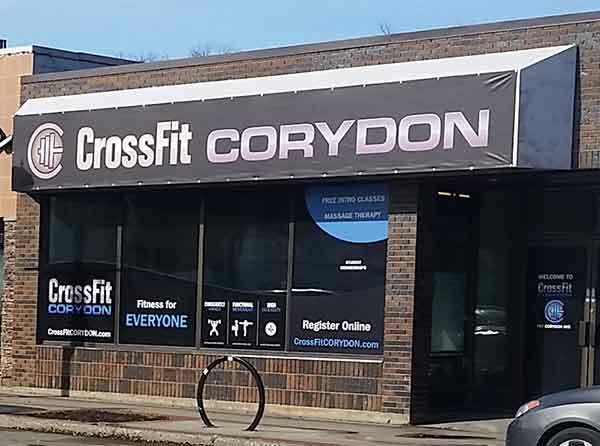 So, you’ve made some serious gains and/or have a tun of fun since joining Crossfit Corydon (CFC) and your friends, family or co-workers have no idea what it is you do exactly… Here’s an opportunity for you to bring them down to see what crossfit is all about, let you show off your stuff or simply have some fun together. 1-hour coach-led intro-to-crossfit session, including a group warm up, skill/strength portion focusing on movement mechanics and technique, followed by our workout of the day. Simply email us and let us know who you’re bringing down and sign up via Wodify for the time slot that day. They will run in conjunction with our regular class and free-intro sessions. These are at no charge for first timers! The coach will lead the regular class and scale down the skills & workout for those new to crossfit. The coach can even make the metcon into a partner WOD if you should choose. Not only will you get your work in for the day but you’ll have the pleasure of showing off your stuff to your friends and family, while the coach works with them on the more technical aspects of the movements and progressions.